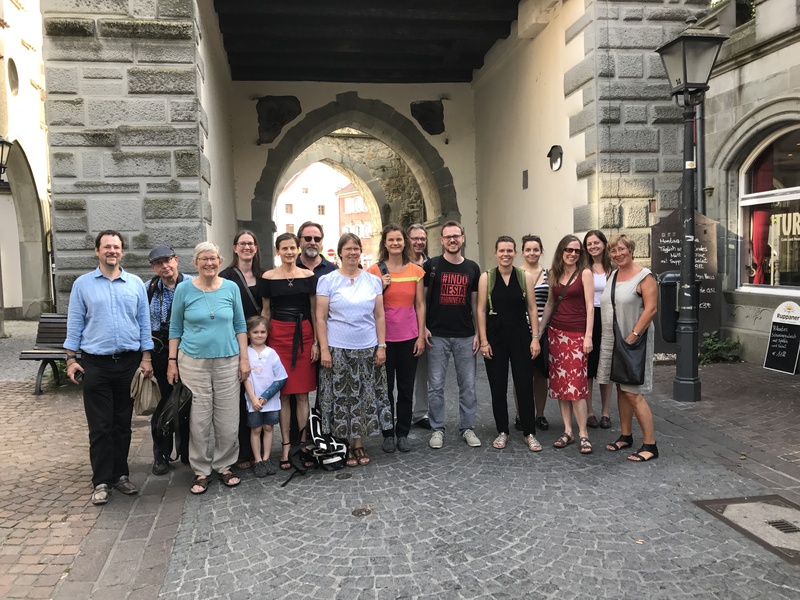 A group of German anthropologists has met at the Institute for Advanced Study in Konstanz last weekend to carry out the third (out of six) workshops within the framework of a DFG-funded network on “Contested plural ecologies. Anthropological perspectives on Southeast Asia.” After having convened in Heidelberg and Passau already, Konstanz hosted the third gathering in which we continued exploring human-nature-relationships, taking into account recent theoretical debates in anthropology. Workshop participants in Konstanz. July 8, 2017. This workshop, entitled “Divergent resource claims in plural ecologies”, was convened by myself and Birgit Bräuchler (currently based at Monash University, Melbourne) and focused on how ambivalences and contestations between local, national and international rights and claims inform ecological policies and power struggles at the respective levels. Given the rising demand for cultural rights and the plurality of ecologies within and across countries in Southeast Asia, a regional comparison can shed new light on debates about diverging normative orders, the translation of individual and collective human rights, and the (sustainable) management of a broad range of resources. In the papers, we geographically covered Indonesia, Laos, Vietnam, and Myanmar. The ‘resources’ under investigation reached from urban land, waterscapes, religious buildings, rice fields, beaches, eaglewood nursery programs, forested mountains, to gardens and coral reefs. For a full programme of the workshop see here. The group profited enormously from the two external discussants: the legal anthropologist Prof. Dr. Keebet von Benda-Beckmann (Amsterdam) and the environmental anthropologist Prof. Dr. Greg Acciaioli (Perth). Both are experts on Indonesia and provided thought-provoking individual feedback to all papers. The group will convene next in Berlin at the Humboldt University in November 2017. This entry was posted in Allgemein on 13. July 2017 by Judith Beyer.